So how do you make moon sand? 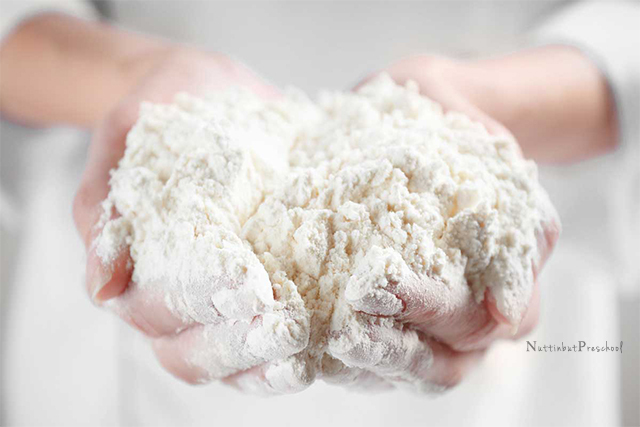 Do you have baby oil and all-purpose flour in your home right now? If, so, then you have everything you need to make this recipe. Kids LOVE it! Try adding moon sand to an oversized bin and placing beach items in the mixture. Add rocks and dump trucks to the bin…. the kids will LOVE IT! 1.) 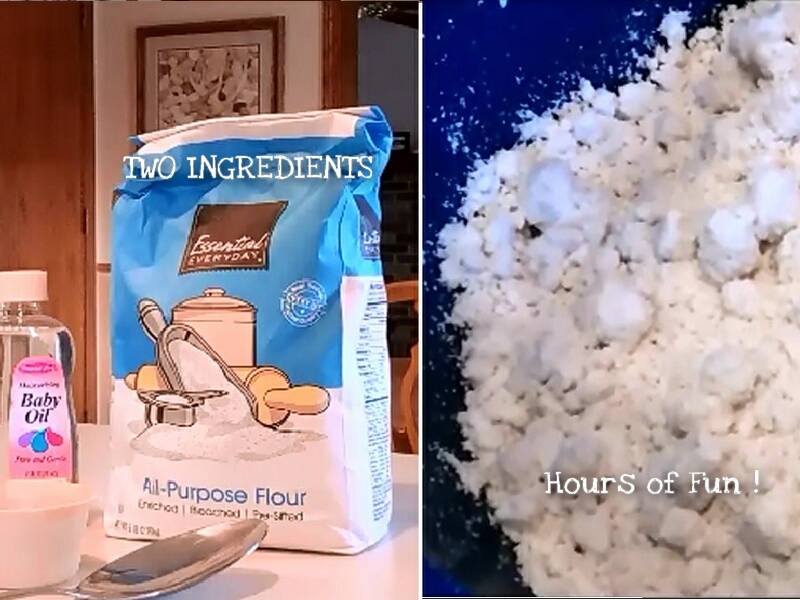 Measure out the ingredients into a bowl. That is it! Simple, interactive, fun play!